More than just an passage into your home; your front door is a reflection of your style, personality and often the focus of first impressions of your home. It is an extension of your space, defines personal ambience and impacts the curb appeal value of your home. Homeowners are personalizing their choices. Our world moves at an increasingly fast pace, where social media plays a strong role. We are exposed to more, we do more – we want more. Society is much more accepting of individual tastes. We no longer hesitate to stand apart from the crowd. The front door is a welcome display of our individuality. There is a strong growing trend towards breaking tradition. Our home is a showcase of our tastes and experiences. The front door is definitive of our values. Our likes and dislikes are unique, why shouldn’t our door characterize those choices. No surprise that in this busy, over scheduled, complicated world that when we come home; we find thrive on simplicity. Clean, uncluttered designs are a refreshing contrast for people seeking balance and harmony. 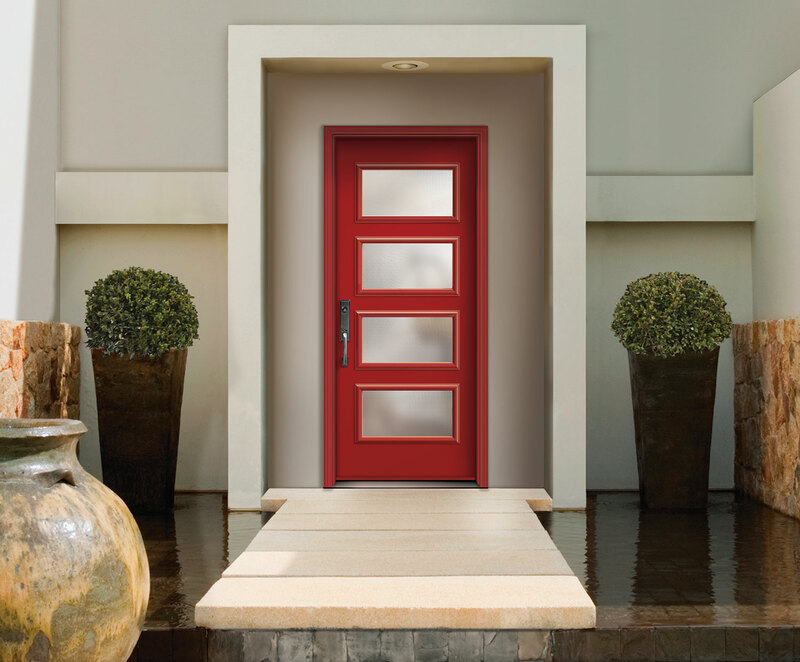 In response these emerging trends; Tru Tech has developed numerous diverse options in door and glass products. We applaud the personal touch, non-traditional solutions and have manufactured doors with a minimalistic sophistication. The results are exquisite statement doors to be proud of.